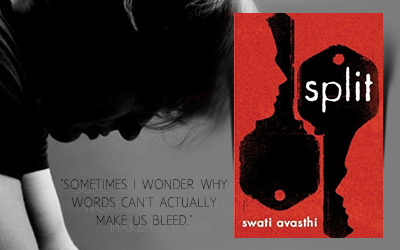 I finished reading this book a while back but I didn’t really know what to say about it. It feels a bit unfair to sit in my comfortable chair, living my ordinary peaceful life, and give my opinions about such an important subject as family violence. You read in the book about all those horrible scenes and you know that somewhere, someone is living that particular hell, that somewhere out there a monster treats his family like that, that somewhere there are kids suffering and you can’t do anything to help them.. So tell me, do you fell comfortable talking about so much pain? Because I definitely don’t. The story is told from Jace’s point of view – he is just a teenager, he was suppose to have the time of his life, he was suppose to have a girlfriend to love, a pack of friends to have fun with and a family to take care of him. But life was never so easy for him. From the moment he found out that there was a way to protect his mother from his father’s rage he spent his days provoking his dad to punch him such that he wouldn’t touch his mother. Until one day the he couldn’t take it anymore, he couldn’t see his mother’s pain, he wanted his father to feel every bit of that suffering, and deep down he wanted him dead. Does this make him a monster too? His act of courage only got him out of his house and trying to find refugee with his brother Christian. Now Christian has another story – when he couldn’t take it anymore he decided to run away, to have a better life, to pretend that all he’s been through never happened – now Christian has a lovely girlfriend, a life of his own away from misery, from pain, from his family. It’s easy to condemn him for not being there for his mother and little brother, but should we? Don’t we all deserve a better life? Didn’t he deserve a better one? Back to Jace, I really felt his pain. You hear about kids in his situation but you never know how deep the aggressions can affect them. He’s been told his all life that he resembles his father perfectly, and as a kid that felt right, but in time he noticed that he also had his temper, that he was starting to lose control when he was angry, and God, did I feel his struggle because he knew exactly what he didn’t want to become, he knew exactly why he didn’t want to be like his dad. Seeing him try to make better choices, trying to change his life, trying to save his mother was heartbreaking. There were so many marks left on his skin and his soul and it felt so real that it hurt. There weren’t many times I felt a character so close to my heart, but with Jace I just wanted to be able to help him, to bring him some joy, to make him smile.. There are many thing that I could say about Jace and his brother, about their secrets, their fears, but I think it’s better for you to discover it all by yourself. Just keep in mind that in every situations there is white, there is black, and there are plenty shades of grey. There is a before, and there is an after, but you can’t really split your life in half, there will always be some things in between – there will always be memories hunting you, there will always be someone left behind, there will always be choices that you have to make. 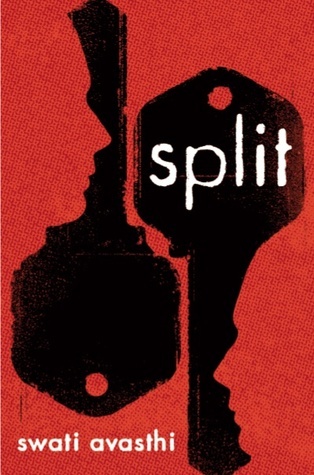 Split is a story that will make you fell love and hate in the same time – it’s the perfect title, in so many ways… One word hiding a whole story: beautiful, heartbreaking, breathtaking. Thank you, Elizabeth, I am really glad that you liked it.